We are providers of the best quality gutter cleaning service in the whole of Ferntree Gully area. Our service helps you keep your feet on the ground and helps maintain your property in the long run. Allow Aahclean Gutter Cleaning Ferntree Gully technicians to clear and flush your gutters and avoid costly repairs and headaches. Adhering to a regular maintenance schedule is not easy to do. Biannual gutter cleanings is recommended to keep your gutters working correctly, however it may need to be more frequent depending on the number of trees that surround your property. 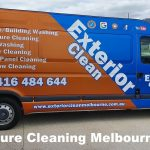 Feel free to give us a call on 1300 951 207 and let Aahclean Gutter Cleaning Ferntree Gully discuss your gutter service needs.